You have the ability to make a difference in the lives of Albertans’! 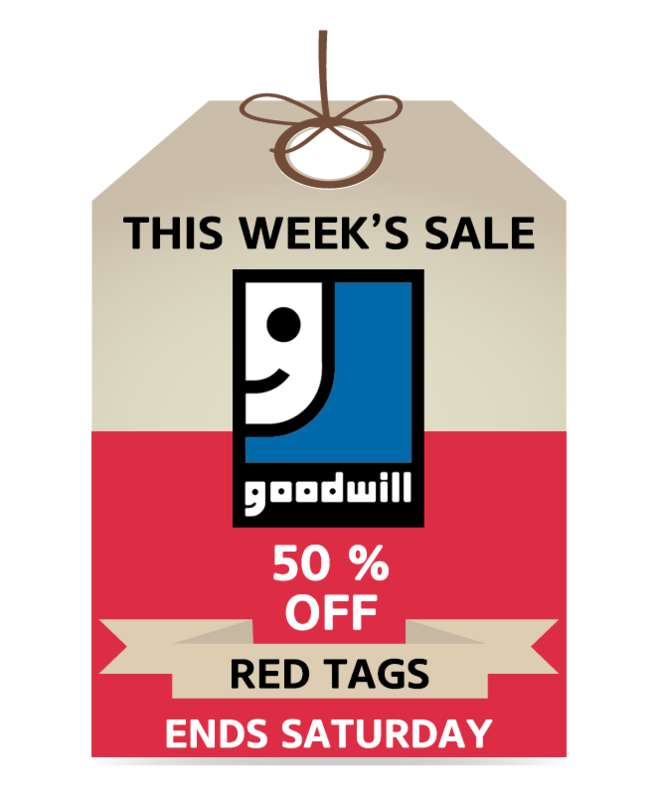 Goodwill is dedicated to providing people with disabilities the opportunity to find meaningful employment. This is made possible as a direct result of the generosity of Albertans’ in our community. We sell and recycle donated goods, keeping literal tons of stuff out of landfills each year, and using the proceeds from the sales to provide employment opportunities to Albertans’ with disabilities. 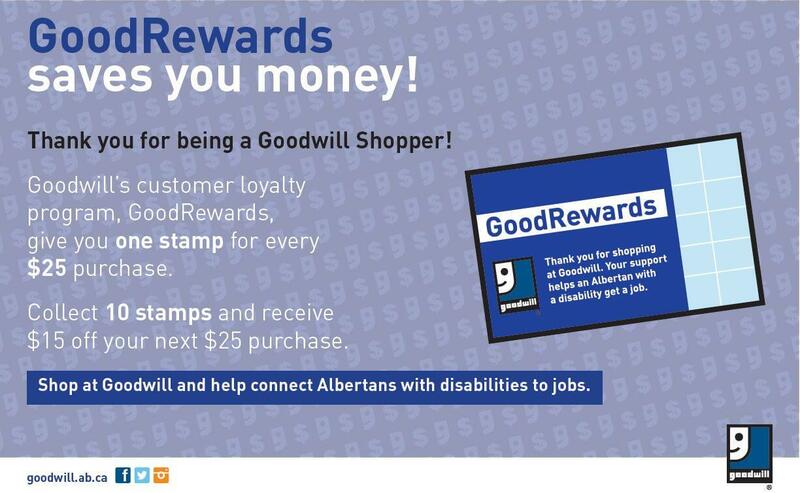 Goodwill is also proud to be one of the largest employers of individuals with disabilities in Alberta! Please complete the application form and we will be in touch regarding current opportunities at your preferred location. Goodwill is currently looking for volunteers to help turn donations into treasures. We have new and exciting volunteer opportunities perfect for those who want to give back and help us make people’s dreams a reality. We are currently looking for passionate, dedicated and compassionate Albertans’ to help our team members exceed their goals. These volunteers will work alongside Goodwill team members and support them with accepting donations and preparing items for sale or transport. This opportunity will allow volunteers to have a direct impact in supporting Goodwill’s mission, while having the ability to have fun with a diverse team. Volunteers will be required to volunteer for a minimum of a 2 hour shift on a weekly basis. We are looking for a minimum of a 3 month commitment to ensure volunteers can build positive relationships with our team members and get fully immersed in the Goodwill mission. Volunteers will be required to provide a clear Vulnerable Sector Check within 30 days of their first shift. Goodwill will provide volunteers with Safety, Disability Awareness and hands-on task specific training. Goodwill is currently looking for volunteers to help provide our customers with an exceptional experience. We have new and exciting volunteer opportunities perfect for those outgoing talkers who enjoy interacting with the public and being ambassadors of Goodwill. We are currently looking for passionate, dedicated and compassionate Albertans to help our team provide an experience customers will remember. These volunteers will focus on providing excellent customer service and ensuring the retail floor exudes dignity and joy. This includes not only providing customer assistance, but also merchandising and organizing the store. This opportunity will allow volunteers to have a direct impact in supporting Goodwill’s mission, while having the ability to have fun with a diverse team. Volunteers will be required to provide a clear Police Check within 30 days of their first shift. Goodwill will provide volunteers with Safety and hands-on task specific training. We are looking for a volunteer to provide support to our arts & crafts upcycling pilot. Upcycling leaders would support individuals with barriers to employment, including developmental disabilities, by providing guidance on projects, health & safety, and preparing work spaces. We are currently looking for passionate, dedicated and compassionate Albertans’ to help our team members exceed their goals, while turning donations into treasures. This opportunity will allow volunteers to have a direct impact in supporting Goodwill’s mission, while having the ability to have fun with a diverse team. Key responsibilities would include, (but are not limited to) facilitating and supporting the creation of arts and crafts including painting, candle-making, and assembly activities, maintaining a clean and organized environment for arts and crafts projects and ensuring area remains presentable and safe for others. Volunteers will be based out of the Edmonton Impact Centre and are expected to volunteer 3 – 6 hours weekly. We are looking for a minimum of a 3 month commitment to ensure volunteers can build positive relationships with our team members and get fully immersed in the Goodwill mission.